Photographer Shelly Strazis and her boyfriend, cinematographer Gilbert Salas, could make a food flick about their Thanksgiving. 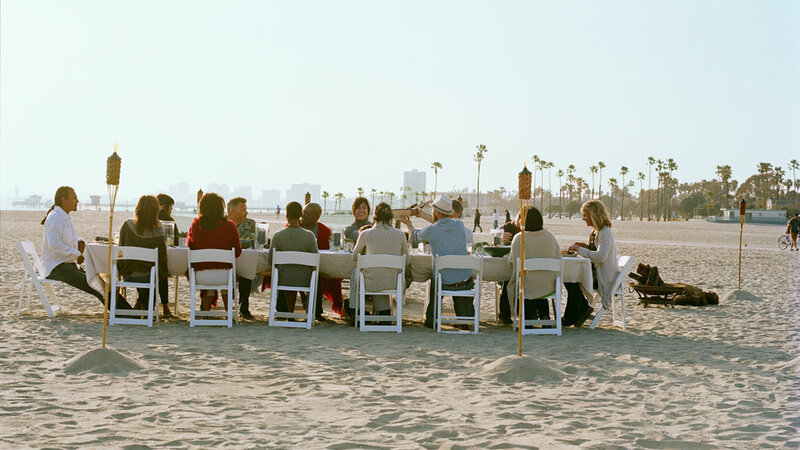 Every year for the past eight years, they’ve hosted it on the beach across the street from their home in Long Beach, California. The menu is loosely themed around Gilbert’s Tex-Mex roots with a dash of California—which means dishes worth craving year-round, like chile-rubbed turkey with mole gravy, and chocolate cakes with a cayenne kick. 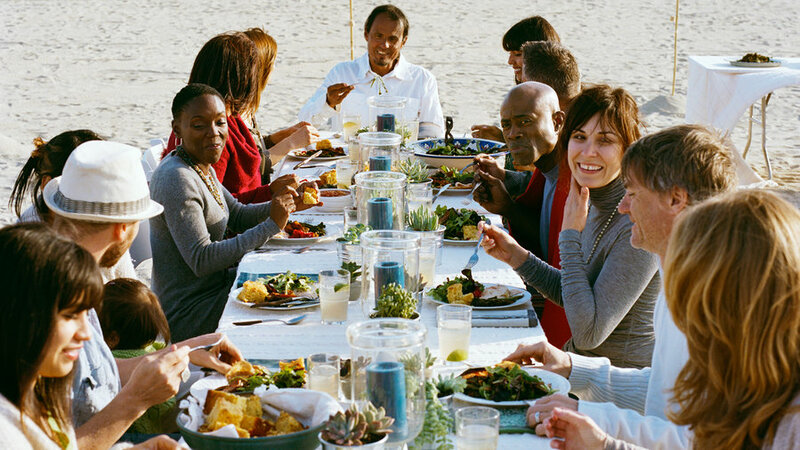 It’s a toss-up as to whether Shelly’s group enjoys the food or the beach more. Which makes us think that all Thanksgivings should at least involve a walk in the open air. Nature, after all, is partly what we have to be thankful for. 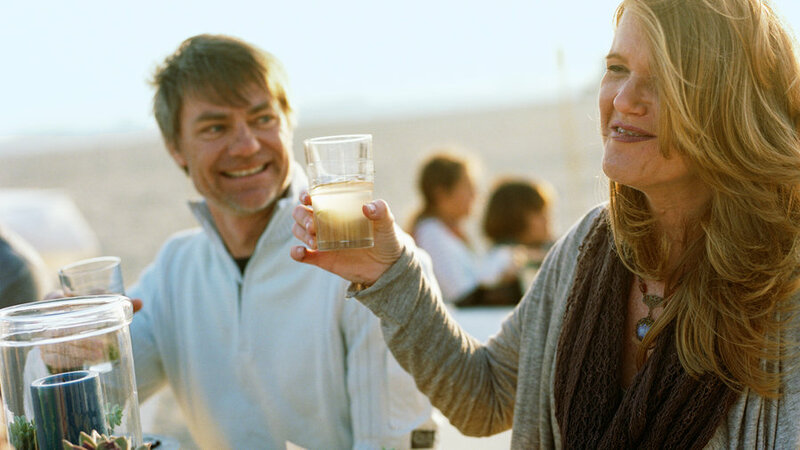 Guests arrive at 1 for appetizers and activities like bocce ball, then sit down to eat in the late afternoon. Pumpkin tacos are easy appetizers to prepare, but offer complex flavors. Guests can assemble their own, adding toasted chiles, slaw, and pumpkin seeds. 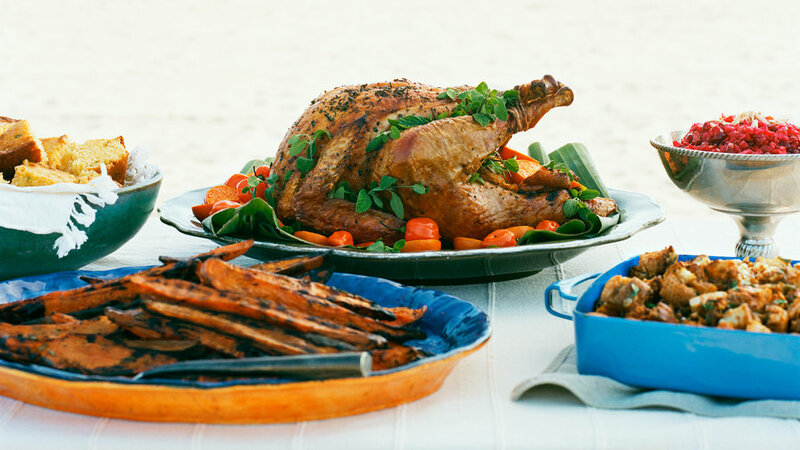 A chile-rubbed bird cooked on the grill and served with mole gravy makes for a richly seasoned centerpiece. Brining the turkey is the secret to a moist bird. For the most even cooking, leave turkey legs loose. Or if you prefer a tidy look, tie them. For garnishing, add color with herbs, a banana leaf, and fruit like kumquats. Tex-Mex meets California in side dishes with plenty of personality. 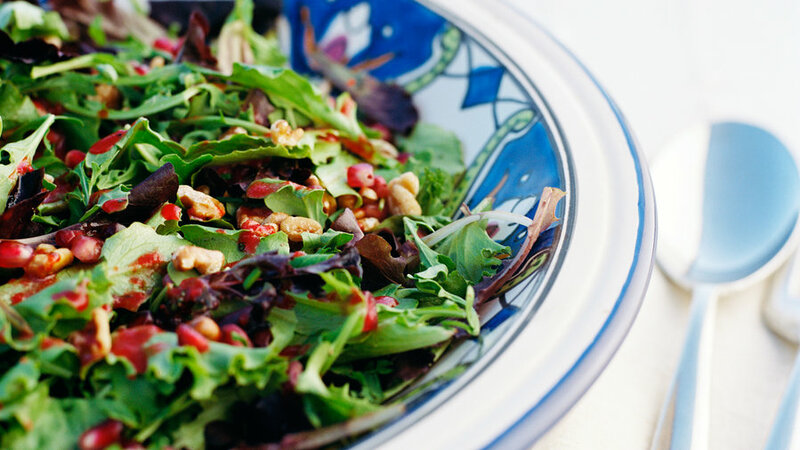 The pomegranate juice dressing echoes the flavors of cranberry relish. Try simple desserts with a twist on tradition. 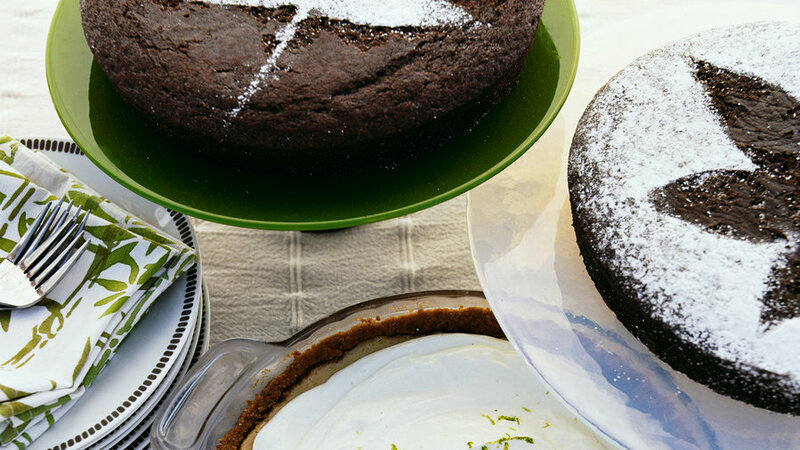 Mexican Chocolate Cakes: This very chocolaty Mexican dessert has a chile kick—and is fabulous with cinnamon ice cream. We decorated the cakes with stencils made from an autumn leaf traced onto tagboard. Cinnamon Ice Cream: A super-easy addition to the table, inspired by Shelly’s favorite fall flavor from Fosselman’s Ice Cream, a SoCal landmark in Alhambra. Long Beach Lime Pies: In honor of the Strazises’ Florida roots, Shelly’s mom whips up luscious Key lime pies. We use Mexican limes (the West Coast name for Key limes). 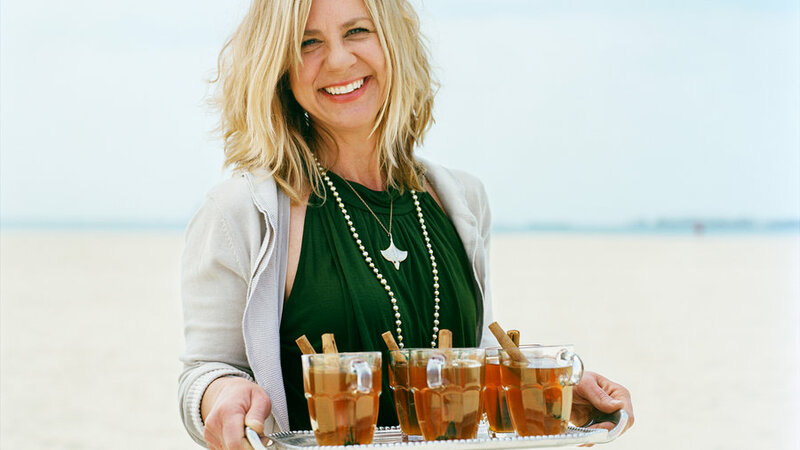 After dinner, guests warm up with canela tea by the bonfire. A splash of tequila added to the cinnamon drink provides an extra glow. Tote dinnerware to the beach in baskets or milk crates. Guests help carry tables and chairs, tiki torches, the cooked food, and a grill (for reheating). 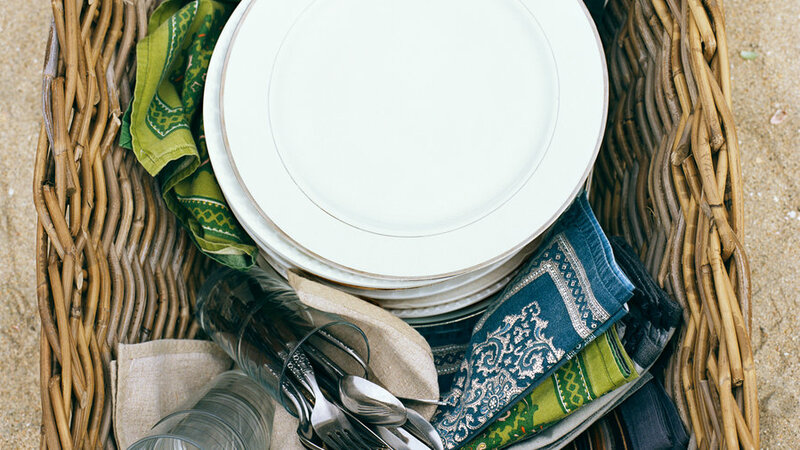 Mix vintage plates with flatware from thrift shops. 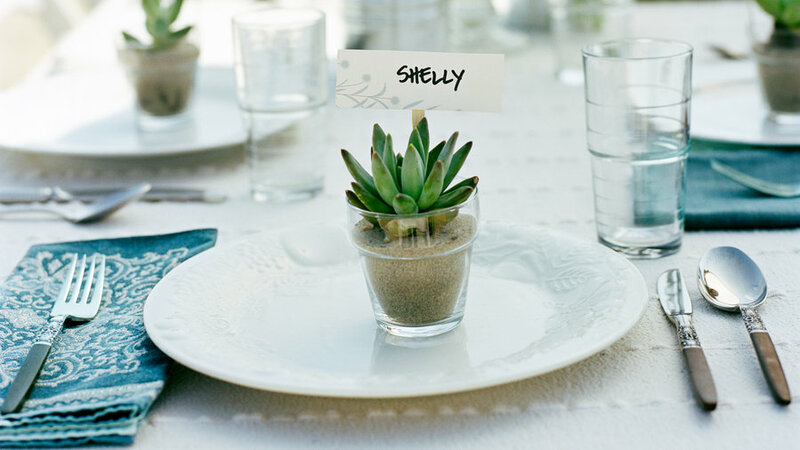 Display succulents in votives. Here’s how two cooks can pull off this big meal—with one cook working indoors, using a single oven, and one working outdoors at a single grill. If you don’t have ample fridge space, you may need to store some food at a neighbor’s. 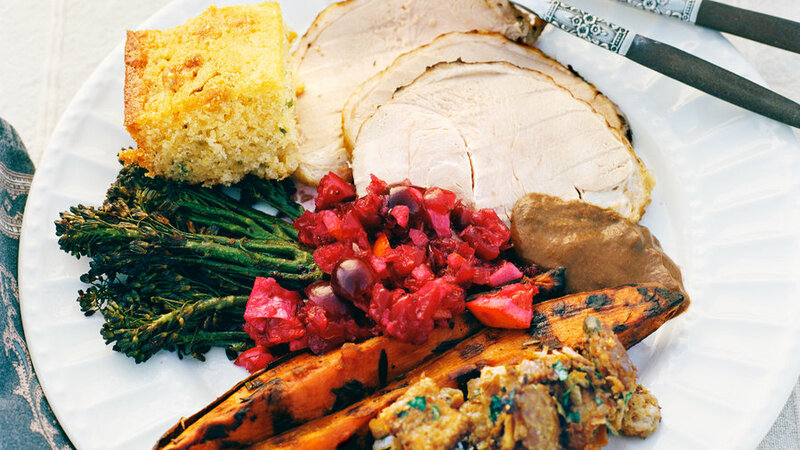 Start thawing turkey in fridge, if frozen. Toast seeds and nuts for relish and salad. 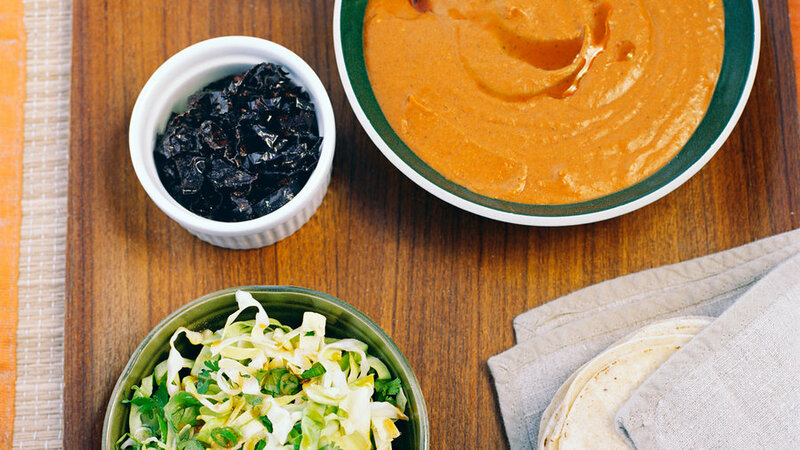 Make pumpkin spread and slaw for tacos. Make stuffing through step 2. Heat grill and start turkey (allow 31/2 hrs. for cooking, resting, and carving). Spread topping on lime pies. Top cakes with powdered sugar. Add almonds to cranberry relish. Assemble elements of salad; toss at serving time. Let turkey rest, then carve.